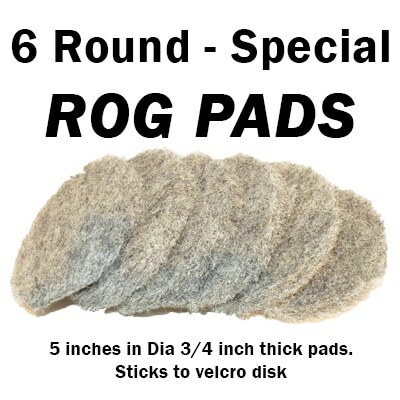 I purchased this product specifically for the slip-resistant surface on my Kohler cast iron bathtub. Through the years, the coating had become discolored in places — not awful, but just a little dingy. 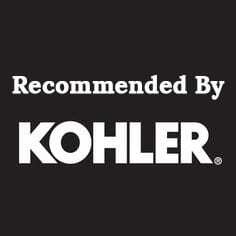 I did not want to harm the coating, so I used only products specifically mentioned by Kohler. None of them worked, until I decided to go ahead and spend the money for ROG. After three uses of both ROG3 and 1 exactly according to instructions, the surface now looks uniformly clean. It’s not a drastic improvement, but it’s good enough. I tried to do before and after photos, but the tub is Mexican Sand, and the stains weren’t dark enough to photograph well. The best ever! Love this stuff!! It works. We had a fiberglass tub surround in rent house and it was so hard to clean. The shower doors didn’t help. this stuff made it like new. It also works on a tub we had resurfaced with acrylic. They scare you to death telling you not to use this or that as it might scratch it, but it was extremely difficult to get really clean. This stuff does the trick. And with my regular porcelain tub, it made it shine like new and it is about 34 years old. The trick is, wear gloves and use a vent fan or open windows. I have asthma and it was a bit irritating, but worth it. We also have an old Kohler tub that seemed to never get fully clean on the bottom using standard cleaners. Greyish blue streaks would still be there where the water flowed and I assume soap would stay. The liquid part of the ROG3 didn’t do much visually, maybe it prepared the surface or something or cleans like our usual products. But the white, minty scrubbing cream is what did the trick. Back to gleaming white again. I also got some drill brushes to help me with the scrubbing and simply going back and forth with the gentle brush and a good amount of scrubbing cream worked great for me. Highly recommended and will be our go-to tub cleaner. Cleans well but costs too much. Would give it a 5 if it was cheaper.